Great starting day of the Bcn GSS’16! 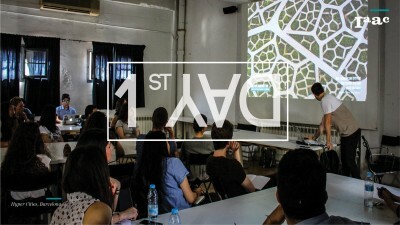 23 student from all over the world exploring Urban Strategies and Technologies, Prototyping and Fabrication. Hutong Place, CNC cutting furniture, 50 students in, looking forward the results, ideas for Urban Regeneration, supported by Yinchuan liu Lecture! Greetings from beautiful Moscow! We are excited to start the Global Summer School here at Strelka Institute with a great group of participants from Rostov-na-Donu, Khabarovsk, Tyumen, Volgograd, Moscow and St-Petersburg! Greeting from New York! Great start today! We kicked off the program with an Intro Lecture on ‘Urban Strategies and Technologies’ and then to the four sites in NYC for the Data Collection session.